Kick off your visit on the 27th (Thu): browse the different shops at Adelaide Arcade. Keep things going the next day: stroll through Henley Beach, then stroll through River Torrens Linear Park Trail, and then take a stroll through North Terrace. 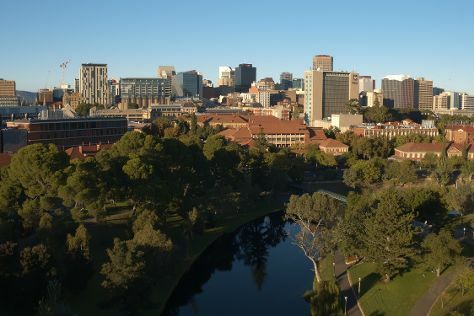 To see photos, where to stay, other places to visit, and more tourist information, refer to the Adelaide itinerary maker app . If you are flying in from Germany, the closest major airport is Adelaide International Airport. In December, plan for daily highs up to 30°C, and evening lows to 17°C. On the 30th (Sun), you'll have the morning to explore before heading off to Melbourne. 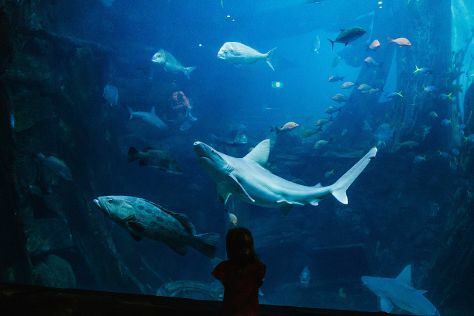 Your day-by-day itinerary now includes Eureka Skydeck 88 as well as SEA LIFE Melbourne Aquarium. Get ready for a full day of sightseeing on the 31st (Mon): meet the residents at SEA LIFE Melbourne Aquarium and then take in panoramic vistas at Eureka Skydeck 88. For photos, maps, more things to do, and more tourist information, read Melbourne trip itinerary planner . Getting from Adelaide to Melbourne by flight takes about 3.5 hours. Other options: drive; or take a train. In December, plan for daily highs up to 30°C, and evening lows to 14°C. You'll have a few hours on the 1st (Tue) to wrap things up before traveling to San Remo. San Remo is a town in southern Victoria, Australia in the Gippsland region. Kick off your visit on the 1st (Tue): get outside with San Remo Fisherman's Co-op and Pelican Parade. To find ratings, reviews, maps, and other tourist information, you can read our San Remo online visit planner . Getting from Melbourne to San Remo by car takes about 2 hours. In January, daily temperatures in San Remo can reach 30°C, while at night they dip to 17°C. You will have some time to spend on the 2nd (Wed) before leaving for Lakes Entrance. Lakes Entrance is a seaside resort and fishing port in eastern Victoria, Australia. For ratings, reviews, and other tourist information, go to the Lakes Entrance trip planner . You can drive from San Remo to Lakes Entrance in 4 hours. In January in Lakes Entrance, expect temperatures between 30°C during the day and 15°C at night. You will have some time to spend on the 4th (Fri) before leaving for Eden. Kick off your visit on the 4th (Fri): get curious at Sapphire Coast Marine Discovery Centre, then tour the pleasant surroundings at On the Perch, and then identify plant and animal life at Tathra Memorial Gardens Walk. 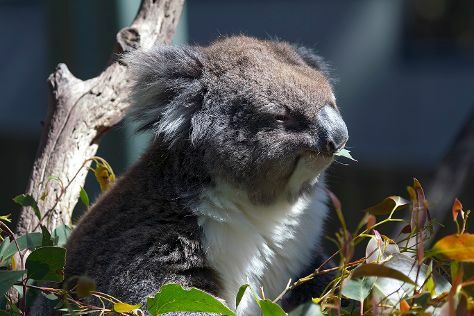 On the 5th (Sat), you'll have a packed day of sightseeing: kick back and relax at Pambula Beach, look for all kinds of wild species at Panboola Wetlands, and then kick back and relax at Short Point Recreation Reserve. To find traveler tips, reviews, other places to visit, and more tourist information, read our Eden route planning site . You can drive from Lakes Entrance to Eden in 3 hours. January in Eden sees daily highs of 28°C and lows of 18°C at night. You will have some time to spend on the 6th (Sun) before leaving for Jervis Bay. Kick off your visit on the 6th (Sun): stroll through Callala Beach. On the next day, explore the wealth of natural beauty at Abrahams Bosom Reserve, then kick back and relax at Blenheim Beach, and then tour the pleasant surroundings at Greenfield Beach. To see photos, where to stay, more things to do, and more tourist information, refer to the Jervis Bay journey maker tool . Take a bus from Eden to Jervis Bay in 5 hours. Alternatively, you can do a combination of bus, flight, and taxi. In January, plan for daily highs up to 32°C, and evening lows to 19°C. On the 8th (Tue), you'll have the morning to explore before heading off to Sydney. Start off your visit on the 8th (Tue): see a show at Sydney Opera House and then enjoy the sand and surf at Coogee Beach. 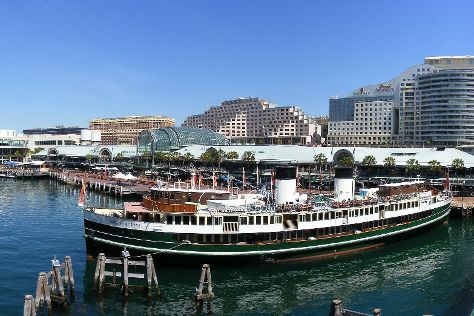 Get ready for a full day of sightseeing on the next day: wander the streets of Darling Harbour, then tour the pleasant surroundings at Bondi to Coogee Beach Coastal Walk, and then wander the streets of The Rocks. To find photos, where to stay, traveler tips, and more tourist information, read Sydney trip planner . Take a train from Jervis Bay to Sydney in 4.5 hours. Alternatively, you can take a bus; or do a combination of bus and train. Traveling from Jervis Bay in January, you can expect nighttime temperatures to be a bit warmer in Sydney, with lows of 23°C. You'll have a few hours on the 10th (Thu) to wrap things up before traveling to Adelaide. On your second day here, hunt for treasures at Adelaide Central Market, take a stroll through Rundle Street East, and then enjoy the sand and surf at Glenelg Beach. To see maps, ratings, where to stay, and other tourist information, go to the Adelaide trip itinerary app . You can fly from Sydney to Adelaide in 4.5 hours. Alternatively, you can drive; or take a bus. Traveling from Sydney in January, expect slightly colder with lows of 19°C in Adelaide. Wrap up your sightseeing on the 12th (Sat) early enough to travel back home.